This Tuesday has an absolutely killer lineup of crime books releasing! There are three particular titles I'm excited about today—and I have a whole bunch of content to share with you for each of these books. Grab a cup of coffee and settle in for my top crime picks for the week of February 7, 2017! As always, this post includes a "don't read this book if" section for each title—to make sure you're getting a book that exactly suits what you're in the mood for. Sara Blaedel will forever be one of my favorite authors, and THE LOST WOMAN puts a whole new spin on Sara’s fantastic Louise Rick series. While Sara’s books are always oriented towards a police investigation, THE LOST WOMAN spends a significant amount of time delving into the backstories of its characters. Within this character-driven framework, Blaedel tackles a very controversial topic: assisted suicide. This story delves into the topic of death and dignity in a very sensitive way—Blaedel doesn’t tell readers what to think, but the reader will inevitably be considering this topic long after the final page of the book. Don't read this book if: You're looking for a very investigation-heavy book. 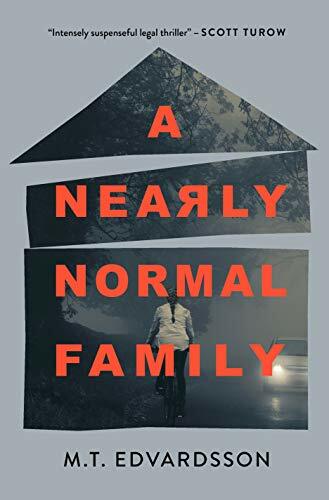 I absolutely loved how this book delves into the personal lives of its characters, but if you're currently in the mood for a story that's investigation-oriented or action-packed, this book might not have enough of those details for you. If you want a book that's thought-provoking and endearing, you'll love this title. Ania Ahlborn is an absolutely brilliant horror writer. Her stories are modern yet timeless, violent yet beautiful—and THE DEVIL CREPT IN is in no exception. This vivid story is set against the backdrop of a small town. When a local boy goes missing, his young cousin takes it upon himself to investigate his disappearance—and discovers the truth might be more horrific than he could ever imagine, and there might be true evil lurking in the nearby forest. Don't read this book if: you want a book that jumps out of the gate with major chills. THE DEVIL CREPT IN is a slow-burning horror story—it spends time setting up the foundation of the story, ramping up to a blood-soaked finale. If you're looking for a book that's twisted and gory right from page 1, this might not satisfy you—but if you are willing to trust Ania's storytelling prowess, you'll be completely rewarded. *Note: this is for the paperback edition of this book! THE GIRL IN THE RED COAT was an instant-favorite for me when I read it last year. This mystery is unlike anything I’ve ever read before—it’s a lyrical, emotional exploration of loss, love, and hope. When a mother’s young daughter goes missing, she will do anything to find her; meanwhile, her young daughter embarks on a journey that becomes much like a dark fairytale, as she tries to find her way back to her mother. Don't read this book if: you want a twisty-turny psychological thriller. This book is a brooding, lyrical story of loss—it's a very non-traditional mystery. If you are looking for a more traditional psychological thriller, look elsewhere. If you're open to something unusual yet completely immersive and chilling, you'll love this read. Are any of these titles on your list? I'd love to hear which catch your eye!